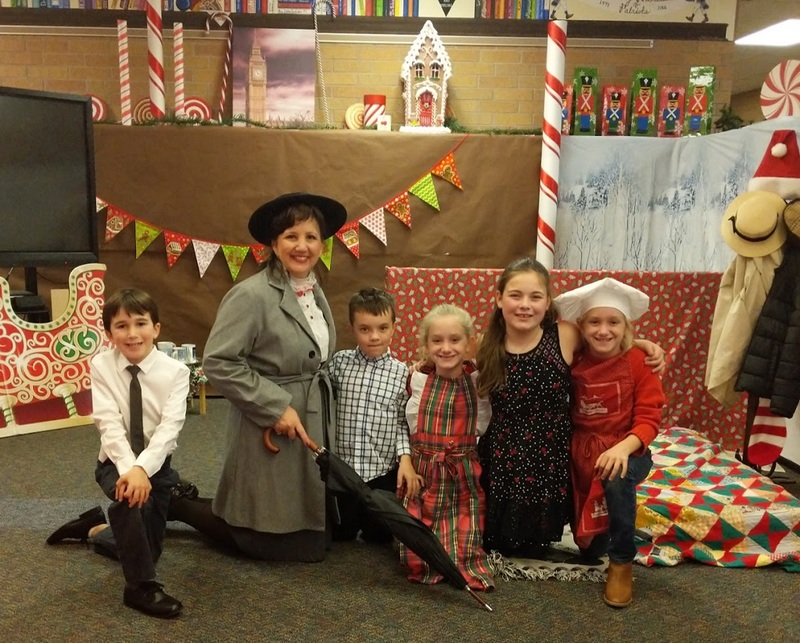 Each year the Mittelstädt Library is transformed into a different Christmas story. One week in December becomes “Pajama Day on your Library Day.” We have ridden on the Polar Express, traveled back in time to Laura Ingalls Wilder’s family cabin, danced with the Nutcracker ballerinas, watched the Grinch grow his heart, and helped Charlie Brown find the true meaning of Christmas. 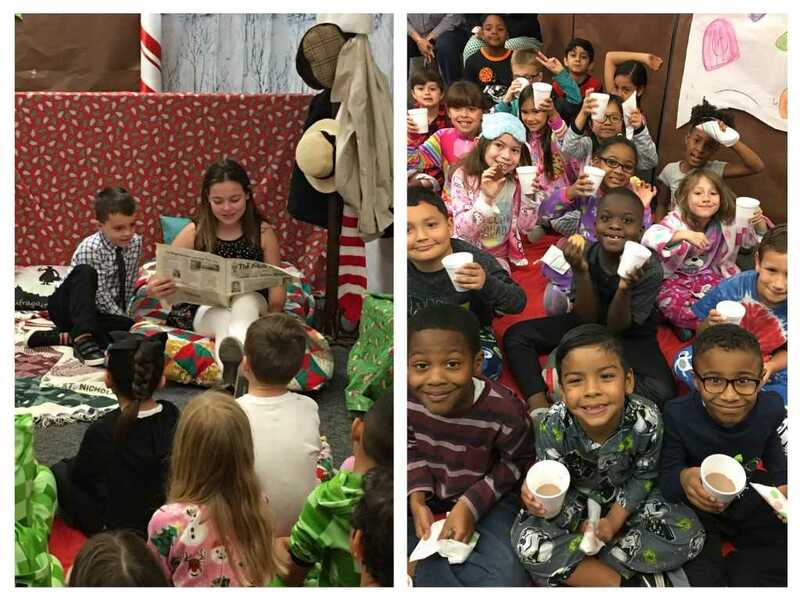 The students enter in their pajamas, sit on a blanket, and watch while fellow students act out a story through song, dance, hot chocolate, and sometimes a little magic. 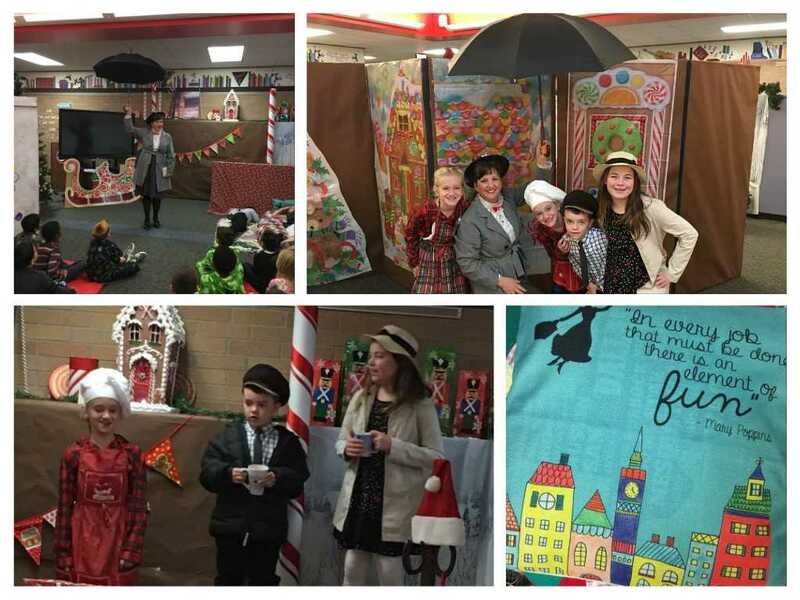 This week the students earned an airplane ticket to travel to London, England. 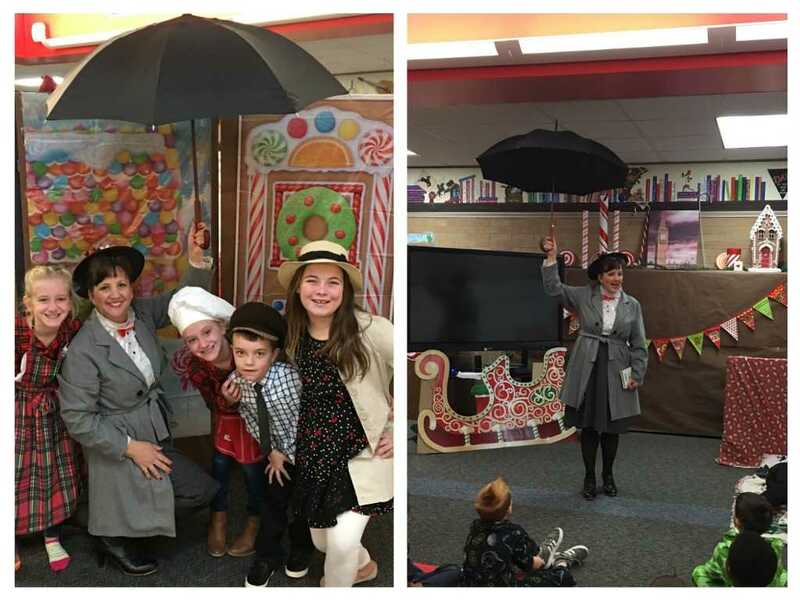 Mary Poppins greeted them at the library doorway and led them into the home of Jane and Michael Banks. During the story we jumped into a sidewalk painted by Bert and landed in Auntie Claire’s gingerbread bakery. PE Coach David Brand helped write our script, and included new lyrics for the “Chim Chim Cher-ee” tune. So we sang about “Gin Gin Gingerbread.” The second and fifth grade actors floated in the air as they sang and laughed. The Mittelstädt Library strives to be the happiest place in the school with new, fun and exciting events throughout the school year.